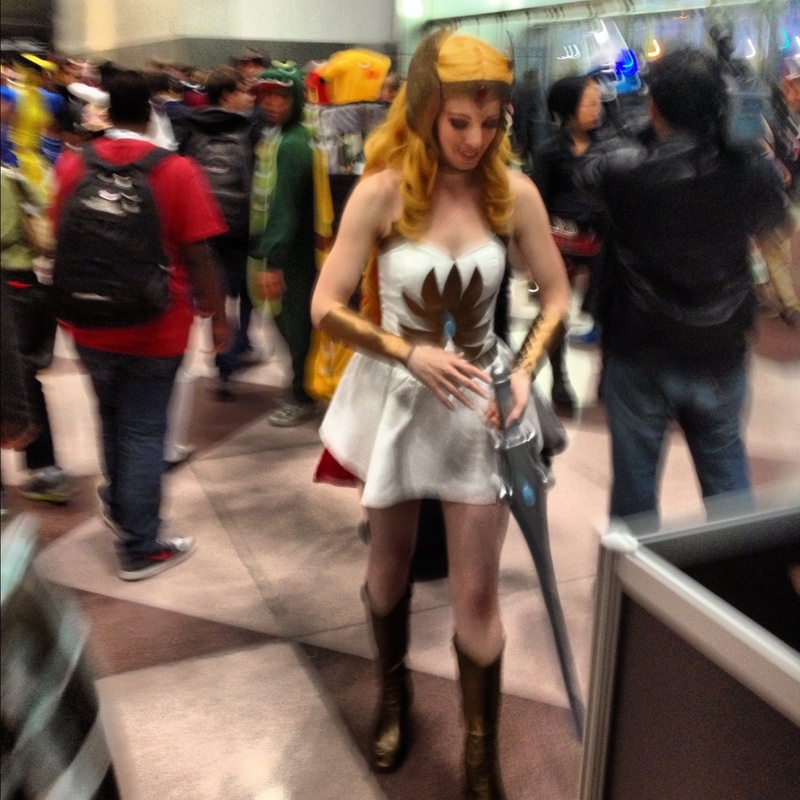 Despite its name, there's nothing funny about the New York Comic Con. If the 130,000 attendees at last year's con don't attest as to its seriousness, that tickets for this year's event sold out well in advance should. 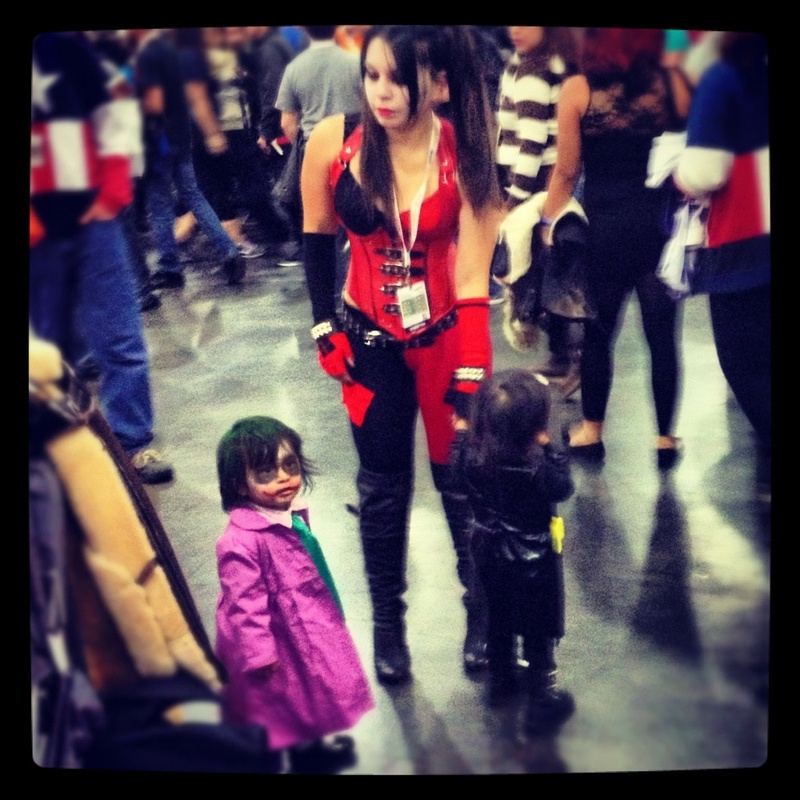 While New York Comic Con may still operate in the shadow of the granddaddy of them all in San Diego, it has come into its own as the second largest annual convention of its kind and the largest ever in the history of the greatest city in the world. For the third straight year, the intrepid team from Phantastic Geek made its way to the Jacob K. Javits Center on Manhattan's west side to partake in the most-prominent pop culture congregation the East Coast has to offer. 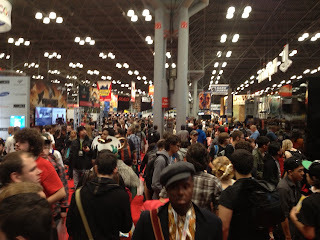 Once we arrived at the Javits Center, it was through the blue doors to pick up two professional passes and a press badge and away we went. These poor bastards were not as lucky. Stop No. 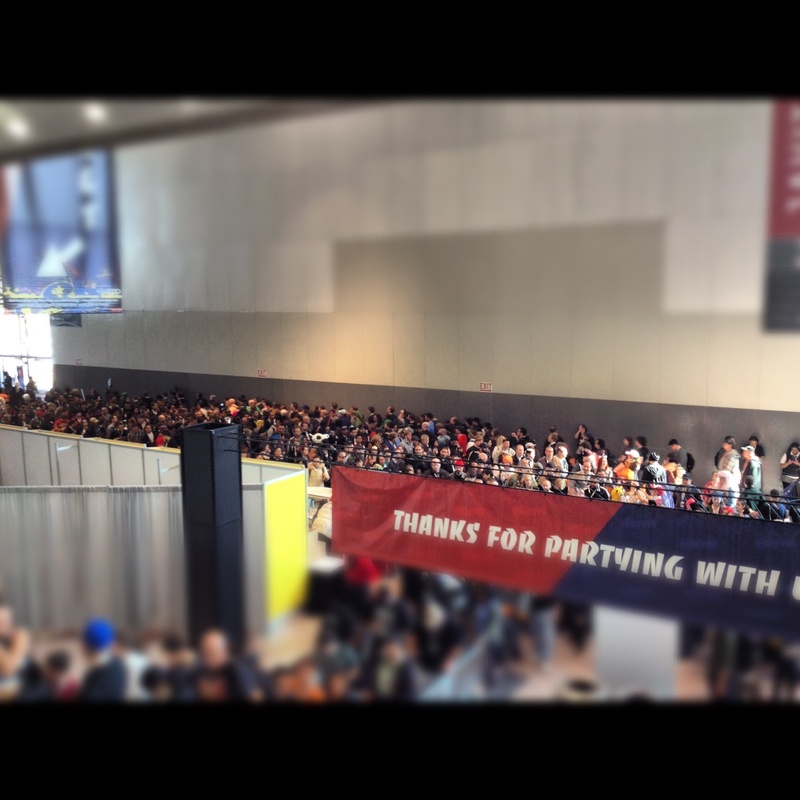 1, a Phantastic Geek tradition: our annual tour of the convention floor. We checked out just about all of the 675,000 square feet the floor had to offer, from product displays for just about every property imaginable to vendors hawking anything you could conceivably want to purchase in the world of pop culture. 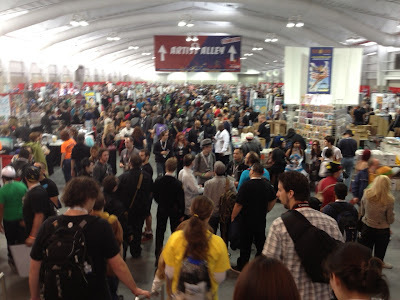 The floor was as busy yet more-efficiently organized than we had seen it before. And that doesn't begin to take into account the New York Anime Festival, which runs concurrent to the Comic Con. 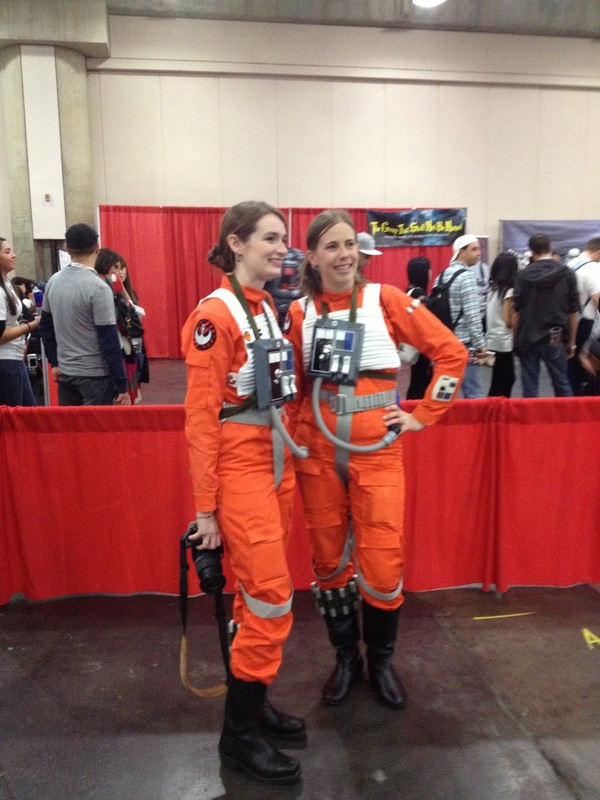 The cosplay was taken to another level at this year's con. Fans came dressed as their favorite characters from comics, film and TV. But it wasn't all babes and butts. 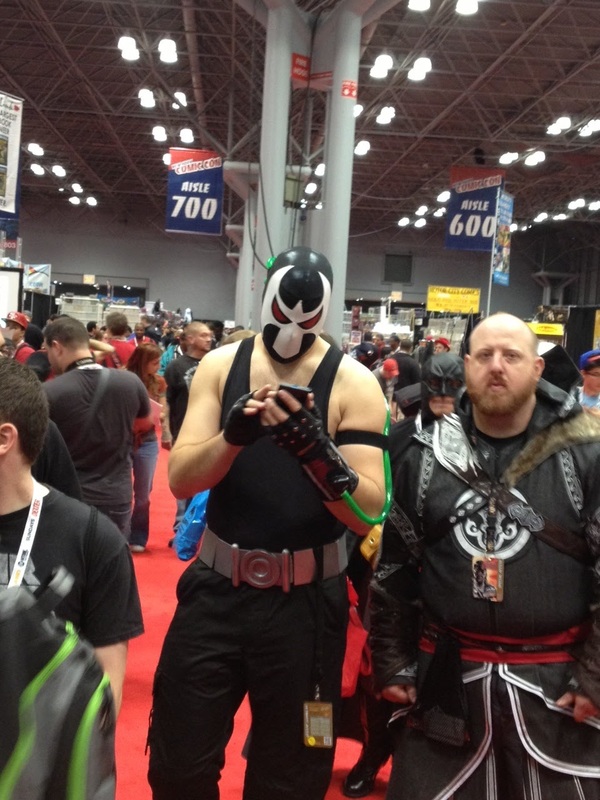 There were also a couple of Banes. 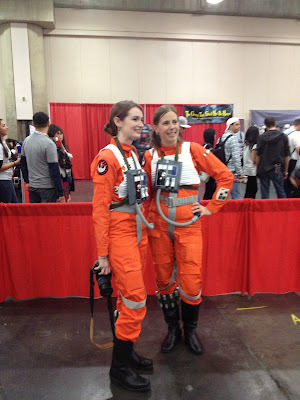 Yeah, there were some bad costumes, fat Captain America and obese Boba Fetts, but they seemed fewer and far between. 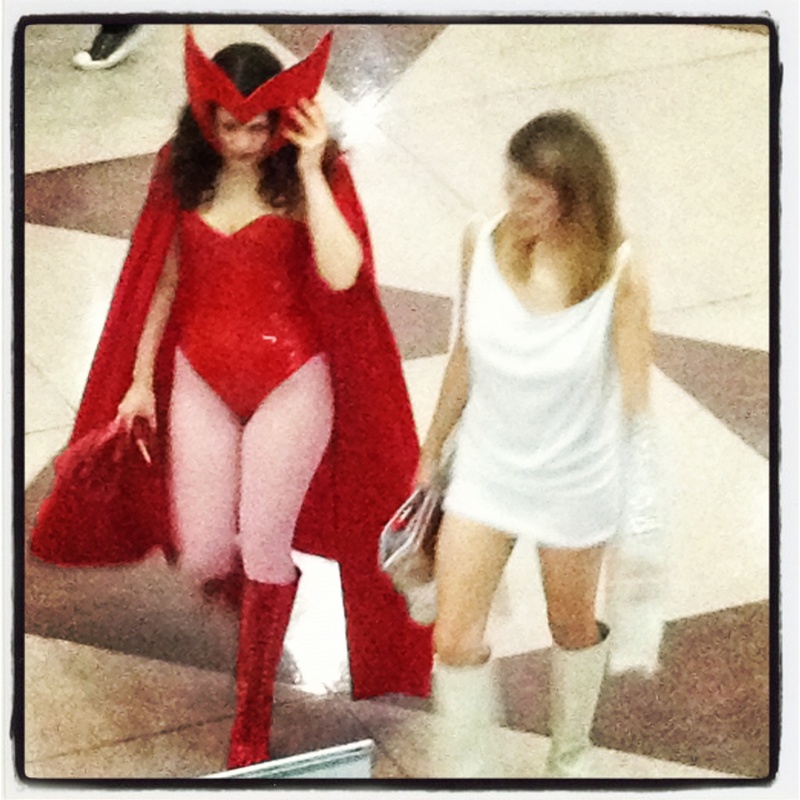 Unlike that other comic con, New York tests cosplayers' commitment like no other. 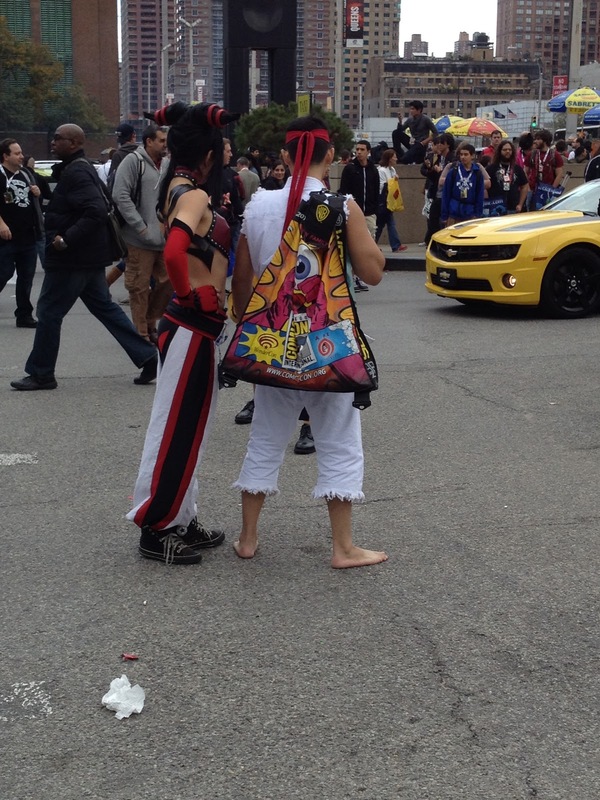 For example, we saw Ryu walk at least six city blocks barefoot. A conscious decision we made after last year was to attempt to take in more panels this year. After that we hit the autograph area where, for as much as $75 you, too, could get up close and personal with your favorite stars. Nobody had more fun though than Lou Ferrigno (TV's Incredible Hulk) who knows exactly what it's about. Artists Alley was moved to the convention center's North Pavilion. The airplane hangar-esque atmosphere still has not augmented the draw of people (mostly) soliciting funds for characters first drawn by others. The Phantastic Geek team wasn't attached at the hip all day, however. We split up to sate our different tastes. Matt took in Falling Skies panel while Pete was forced to endure an impromptu Backstreet Boys sing-a-along of "I Want It That Way" by inappropriate-attired members of the Fourth Estate in the press lounge while staring at his iPhone in a vain attempt to get it to recharge faster. To illustrate how New York Comic Con is truly the nexus of the universe, while walking through Artist Alley Pete heard his name called out to find his roommate from Iowa he had while an at a semester away program at American University in Washington, D.C., someone he'd not seen or heard from in 15 years. 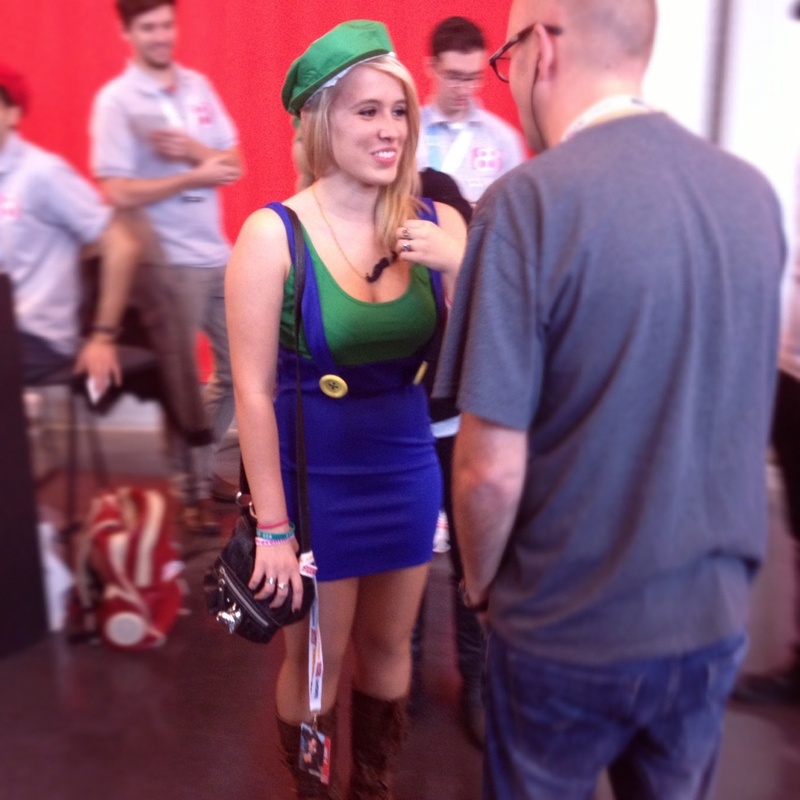 The comic con world is a small one after all. The highlight as it's been for three years has been Saturday night's spot for The Walking Dead. 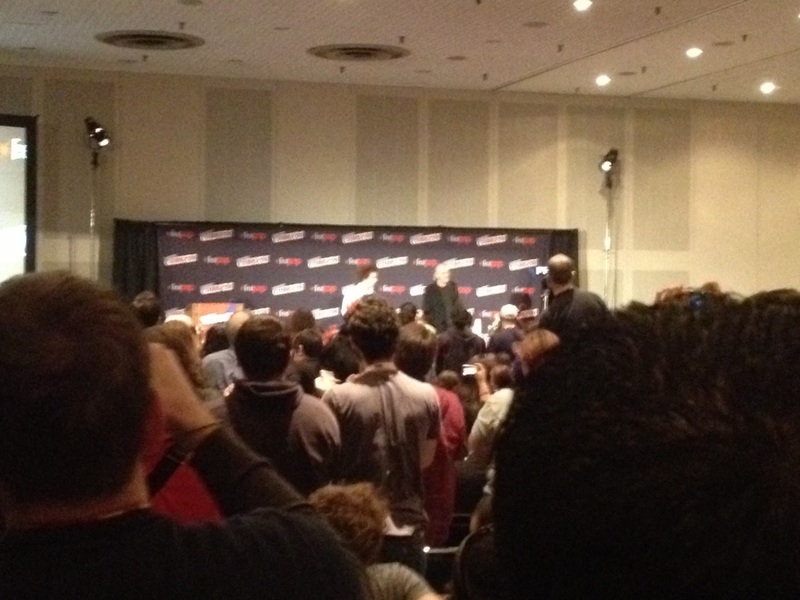 This year's panel featured most of the cast in a packed main hall. A strong lead-in from freshman action series Marvel's Agents of SHIELD only strengthened attendance. We chose to stake out spots ahead of time and, boy, was that a blessing and a curse. The upside: seeing an Agents of SHIELD episode three days before the world. The downside: having to endure the awkward pilot presentation and subsequent panel for CW's Reign and an interminably-idiotic episode of Beauty and the Beast. But hey, sacrifice is necessary if you want to reap the rewards of staying in the main hall for five hours. All in all, New York Comic Con was everything the vets from Phantastic Geek have come to expect and then some. While some of us went back for seconds this weekend, one day of sensory overload was enough for most. After all, there's only so many Transformers you can see up close. 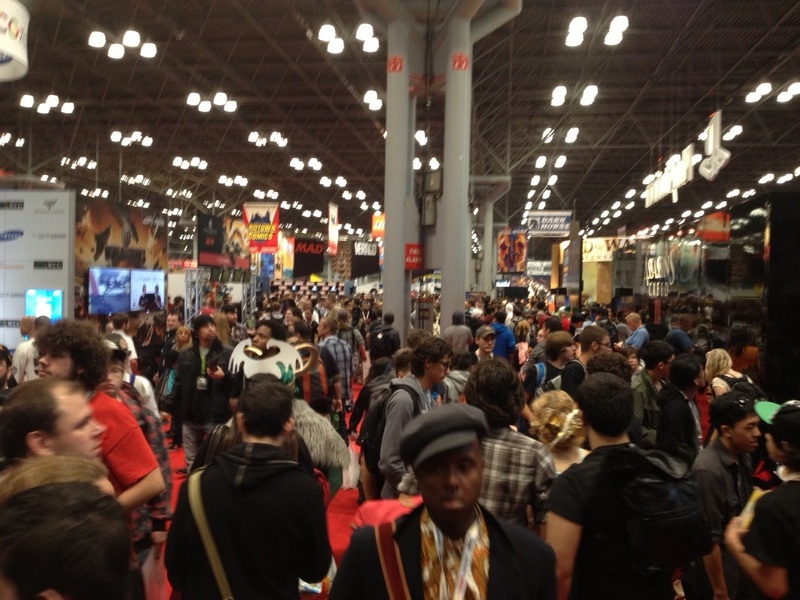 Next year's New York Comic Con is slated for Oct. 9-12. Only 11,000 emails from Lance Festerman until then.